Description: Circadian rhythms are thought to regulate many biological functions, but how do these rhythms sync up with daylight cycles? 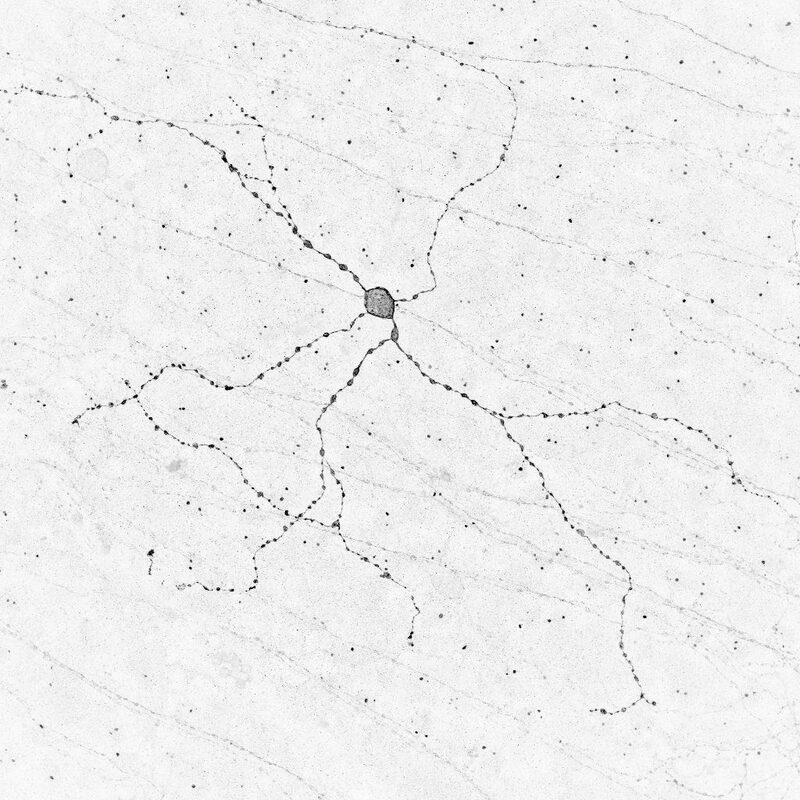 This retinal neuron may contain the answer: melanopsin. The neuron pictured here is one of few cell types in our bodies that contain melanopsin. Melanopsin is a molecule that can be independently activated by light, and so this neuron is able to directly response to environmental light. There are many unknowns surrounding circadian rhythms, but the first step is determining how our bodies are influenced and respond to different environments.